Comfortable beach lounge chairs provide relaxation and rest for a great day at the beach. They have the ability to adjust to different positions - from upright for reading and watching kids to a reclined position for napping or sunbathing. 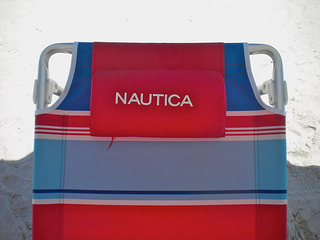 There are a number of different types of beach lounge chairs available, but one of our favorites is the Nautica brand. An aluminum frame is the most popular option for the frame. 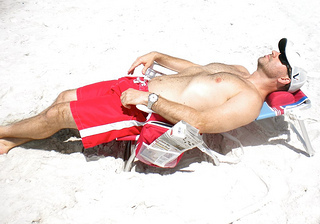 What makes aluminum great for the beach is the that it is lightweight. And since a lounge chair is quite large, the lighter it is, the easier it is to carry to the beach and back. Most likely you won't just be carrying a chair either - so the lighter the better. A single strap slung over the shoulder makes it easy to transport and leaves your hands free to carry other things - like our cute little granddaughter. These chairs fully recline and can be adjusted to suit your every mood. This one has 5 different reclining positions - from sitting up for reading and watching kids to lying flat for snoozing or sunbathing. 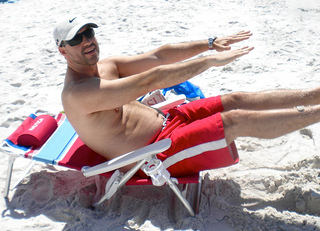 Most other beach chairs either don't recline at all or have only 2-3 reclining positions. This chair has the most versatility in being able to adjust your settings to what is most comfortable for you. An attached head rest makes it even more comfortable for an afternoon nap. The comfortable neck pillow provides support and is an extra-nice feature. 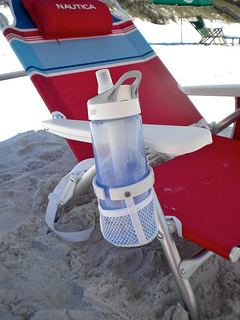 Unlike other beach chairs which use only mesh fabric as cup holders, this one boasts a strong, durable plastic. The deep pocket means that your tall water bottles won't topple out and the adjustable cup holder can accommodate any size can or bottle. Just a side note as a registered nurse - bring plenty of plain water to the beach. Pops, sodas, and alcoholic drinks dehydrate. Lots of sun and heat without water can lead to heat exhaustion which will leave you with a headache, nauseousness and fatigue. Many beach chairs don't have arm rests - but as you can see, the Nautica beach chairs have large plastic arm rests which offer another bit of comfort. The side pockets are great place to stash your reading material, camera, or snacks. There is a mesh outer pocket for magazines, newspapers or books and a zipped pocket for things like your wallet or cell phone. Everything is handy and right within reach without sand getting into your things. Want a foot rest for the ultimate in relaxation? This portable Rio beach lounge chair has unlimited reclining positions including completely flat. Back pack straps make it portable for easy carrying to the beach. 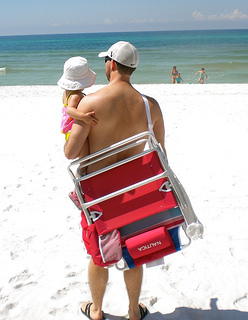 Carry the 9 lb beach chair like a back pack with padded straps. So make yourself comfortable and enjoy some relaxing time in the Rio Beach lounge chair. 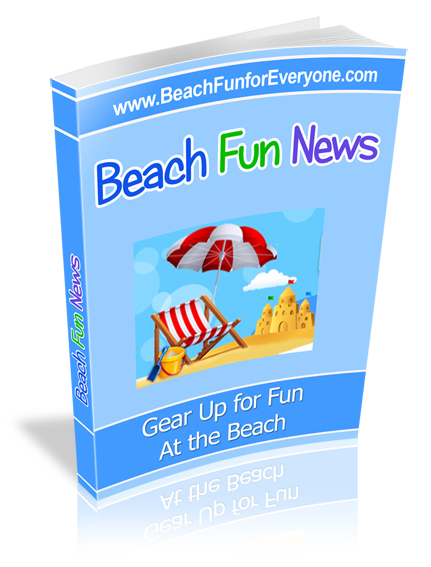 Compact and lightweight make these beach lounge chairs easy to carry and easy to set up. 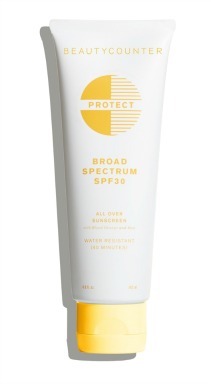 Purchased as a two pack, you and your BFF can enjoy catching up at the beach or relaxing with a good book. An adjustable back allows you to sit up for conversing or reading or to recline for an afternoon nap. 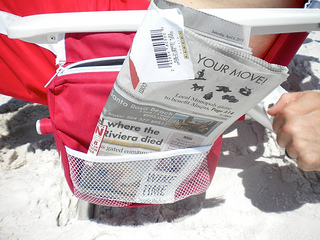 A large zippered pocket in the back provides a place to keep your valuables out of view and out of the sand. 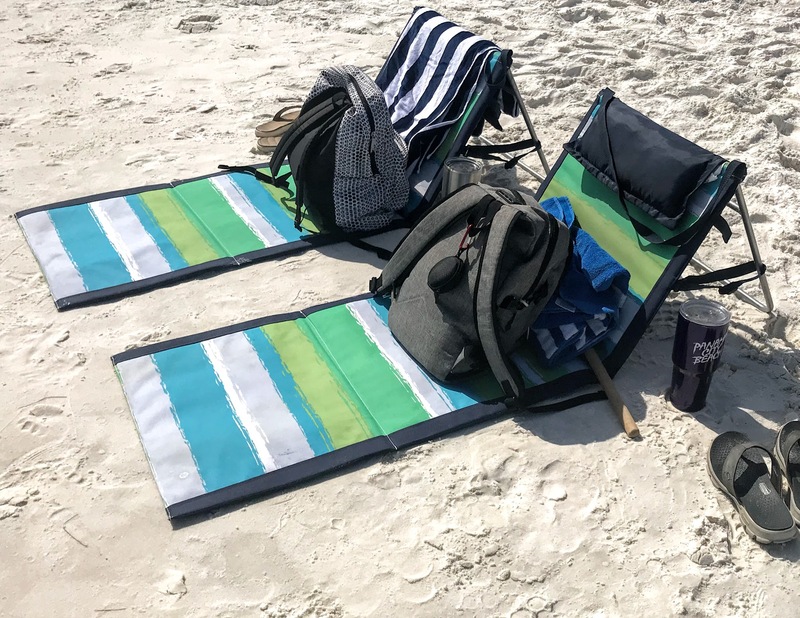 When considering all of the options available to you when choosing a beach lounge chair, find one that is adjustable and can recline, is lightweight and easy to carry, has extra side pockets and a sturdy beverage holder.